Greetings from Huong, Ella, and Kaylee from The 88 Project! We are bringing you news, analysis, and actions regarding human rights and civil society in Vietnam during the week of July 24 to 30. 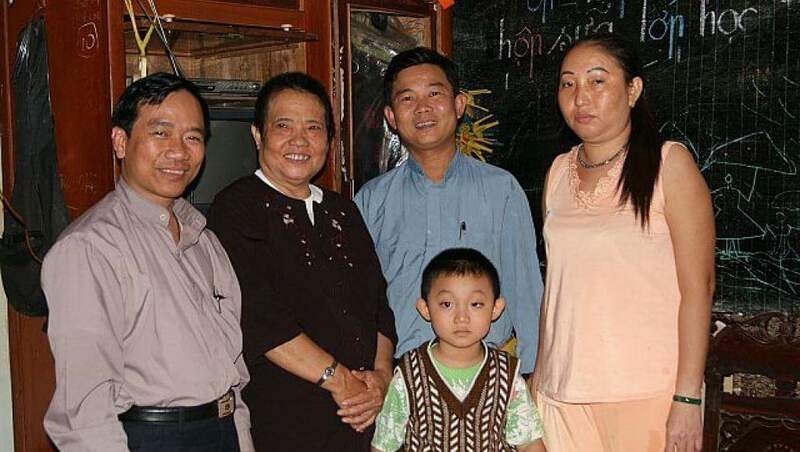 Tran Thi Nga was sentenced to nine years in prison on July 25, and the international community has been outraged by another brutal prison sentence under Article 88. Pastor Nguyen Cong Chinh, who faced torment in prison, as did his family, has been released early from prison and has left for the U.S. Veteran Le Dinh Luong was arrested on July 24 on subversion charges, and his son and daughter-in-law targeted by police. July 30 brought four more arrests: Nguyen Bac Truyen, Truong Minh Duc, Pham Van Troi, and Nguyen Trung Ton were all arrested in one day, immensely adding to an already dismal human rights record in Vietnam this July. There is follow-up from the Dong Tam land conflict and commemoration of July 30, 2012, when Dang Thi Kim Lieng self-immolated just weeks before her daughter Ta Phong Tan’s trial. On July 25, Tran Thi Nga was sentenced to nine years in prison and five years of probation under Article 88 for her online content associated with her advocacy work. She has long been a champion of migrant labor and land rights. Her sons and husband were not allowed in the trial. She has been in poor health in detention. The UN, the EU, and the US Ambassador to Vietnam, and several independent organizations have spoken out against her imprisonment and that of Nguyen Ngoc Nhu Quynh last month. Since imprisoned, prison authorities have refused to deliver food and money from her family to Ms. Nga. Four former prisoners of conscience were re-arrested this week on July 30- Nguyen Trung Ton, Truong Minh Duc, Nguyen Bac Truyen (above), and Pham Van Troi. Mr. Ton, Mr. Duc, and Mr. Troi are all associated with the Brotherhood of Democracy, an organization founded in part by currently detained lawyer Nguyen Van Dai, and have been charged under Article 79 of Vietnam’s criminal code. Mr. Dai and Le Thu Ha were arrested in December 2015 and still await trial. Nguyen Bac Truyen runs the Vietnamese Political & Religious Prisoners Friendship Association and is assumed abducted by authorities. Defend the Defenders reports that, if convicted, these men could be facing the death penalty or life in prison. Pastor​ ​and​ ​activist​ ​Nguyen​ ​Cong​ ​Chinh​ ​has​ ​been​ ​released​ ​early​ ​from​ ​prison​ ​and​ ​is now with​ ​his​ ​family​ ​in​the​ ​U.S after being forced to leave Vietnam.​ ​He​ ​was​ ​sentenced​ ​in​ ​2011​ ​to​ ​11​ ​years​ ​in​ ​prison​ ​and​ ​has faced​ ​harsh​ ​treatment​ ​while​ ​imprisoned,​ ​including​ suspicions that his ​food​ ​and​ ​water​ ​that​ ​had​ ​been​ ​tampered​ ​with, beatings,​ ​and​ ​fabricated​ ​stories​ ​of​ ​his​ ​wife​ ​having​ ​an​ ​affair. Veteran Le Dinh Luong, 52, was arrested on July 24 on charges of subversion. He writes on environmental issues and has been targeted by authorities who believe he has connections to Viet Tan, an overseas democracy group labeled as terrorists by the Vietnamese government. His son, Le Dinh Hieu, was attacked by police, and his daughter-in-law Nguyen Thi Xoan taken into custody for hours, just days after Mr. Luong’s arrest. On July 4, Nguyen Hieu, a blogger and activist, was beaten for the second time in two weeks, having to go to the emergency room for his injuries. He was filming harassment of former prisoner of conscience Bui Thi Minh Hang, who was released from prison earlier this year, and he was also questioned by police in custody. No-U FC football club, founded in 2011, is an outlet for dissidents to come together in a nontraditional way sharing beliefs of democracy, human rights, and protests of Chinese authority in the region. They are constantly harassed by police and have their matches disrupted. Read a recent profile of the team, here. After the standoff between police and villagers in Dong Tam in April, authorities have determined that the land at the center of the dispute belongs to the military. Vietnam charged 14 local officers for their roles in the dispute earlier this month. Before that, some feared that promises were being broken, and that Vietnam was following its usual protocols, after authorities announced a criminal investigation for the villagers who temporarily detained police and officials in the other side of this same dispute. The locals had released the officers after they were assured to have immunity from prosecution. Radio Free Asia interviewed Mai Khoi about her experiences of being interfered with by police at her private show on Saturday July 22 at Studio Number 21 in Hanoi, in which she intended to perform songs that touch on social issues. Watch the interview, in Vietnamese. Prior to the show, a group of cultural police and local officers came to the Studio to pressure its owner, artist Nhat Ly, to not let Mai Khoi and her band perform. During the show, a group of 30 public officers and cultural police came to “inspect” the studio, but a lawyer present in the audience, lawyer Nguyen Van Tu, pointed out that they did not have any legal basis to do such an inspection. The authorities had to leave and Mai Khoi was able to continue the show. Human rights defenders in Viet Nam should ‘never be treated as criminals,’ says UN rights office: “OHCHR pointed out that over the last six months, at least seven other human rights defenders have been arrested and face prosecution, several dozen are currently detained, and two have been deported or sent into exile abroad. Many others have been intimidated, harassed and brutally beaten. July 30 marks five years since Dang Thi Kim Lieng (above, black shirt), mother of former political prisoner Ta Phong Tan, died from self-immolating at a government building in protest of her daughter’s long detention and impending trial under Article 88. The burden of political repression effects families and the community at large, as well as the individuals themselves. Our Content Manager, Kaylee, wrote a reflection on this to commemorate Dang Thi Kim Lieng. Read the full article in the Asia Sentinel, here. Please take Amnesty International’s Urgent Action for Mother Mushroom, as she is being held in incommunicado detention. Support is needed for her appeal. Sign the change.org petition asking the British government to work to free prisoners of conscience in Vietnam. This is a particularly relevant action for our British followers to take.